Press Conference and Protest Success! 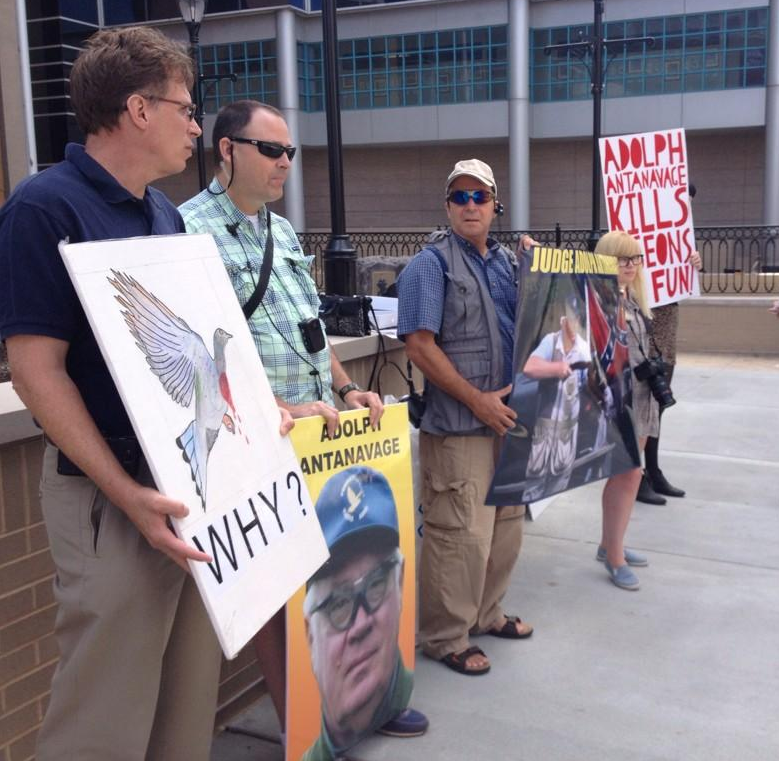 I am pleased to tell you that our press conference and protest against pigeon shooting judge Adolph Antanavage was a success; not only did we have multiple media outlets attend, but we had a sizable amount of activists show up, which was great considering this was a protest held on a work day. Thank you to all who gave their time today! 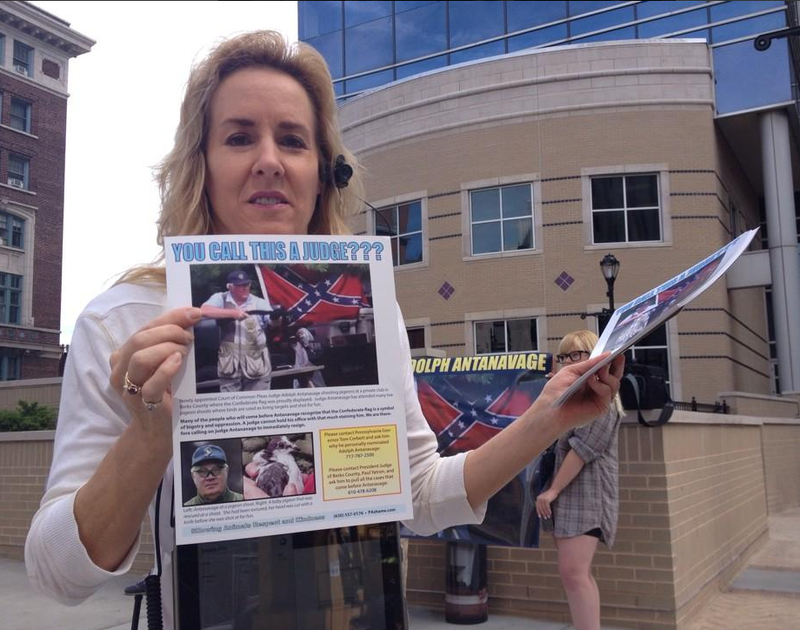 We received word that when the media attempted to speak to Judge Antanavage, who was in court today, he refused. What a coward! But what else would you call a man who shoots innocent birds for fun? This was just day one of our weekend efforts against pigeon shoots. And on Sunday we will be meeting at 11:00 AM at the Reading Public Museum. We will be handing out flyers and educating the public at an event remembering the 100th anniversary of the death of the last passenger pigeon. Last year, during the Jordan Valley Big Loop Rodeo, Malheur County sheriff’s deputies decided that it was more important to follow the directions of the rodeo board than the laws of Oregon, or the protected rights of US citizens under the Constitution of the United States. As SHARK YouTubes have exposed, Malheur sheriff’s deputies conducted an illegal traffic stop based on an order from the rodeo board, committed intimidation, police brutality, and illegally used a police computer to gain unwarranted access to personal information about SHARK personnel. 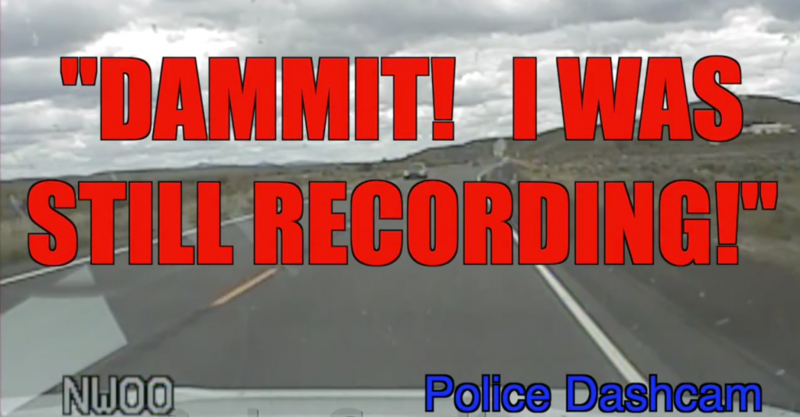 Malheur County Sheriff Deputy Brian Beck, after realizing his dashboard camera was still recording. SHARK videos exposing the cruelty and corruption of the Malheur County and the Big Loop Rodeo have garnered some three million views on YouTube, and even more on some other Internet sites. The public responded with outrage at the police misdeeds. Three SHARK investigators including myself filed lawsuits against the Malheur County Sheriff’s Department. I am happy to announce that those suits have now been settled. In my case, Malheur County paid $12,500 for illegally stopping me at the behest of the Big Loop Rodeo board. I didn’t want Malheur’s money, so I gave it to SHARK. Interestingly, the sheriff’s department sent only professional officers to the 2014 rodeo. Gone were the badge-carrying rodeo minions. What a difference a year can make, especially when you file a federal lawsuit! SHARK’s efforts have knocked some rodeos into the sunset on a permanent basis, such as the Lake County Sheriff’s Rodeo in Illinois, or the Flat Rock Rodeo in Flat Rock, Michigan. 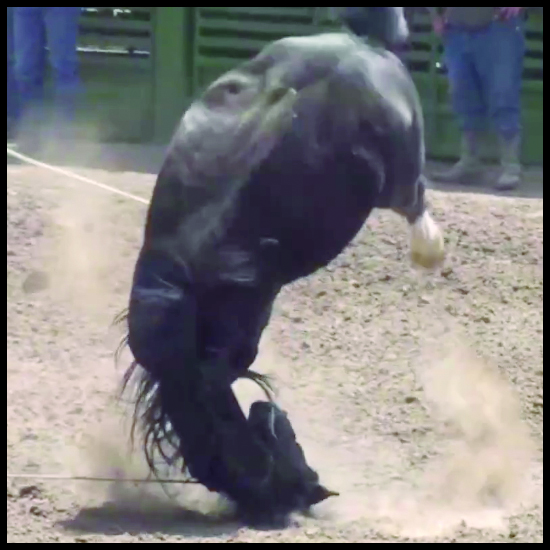 Rodeo sponsors have also felt the bite of our rodeo videos, and a number of them have bailed on the phony cowboys, including Macy’s, Trader Joe’s, Starbucks, GEICO Insurance, Southwest Airlines, Campbell’s Soup, and Choice Hotels. While corporate thugs such as Coca-Cola, Les Schwab Tires and others still support rodeos, and much abuse remains, SHARK will continue to do everything we can to bring relief to rodeo animals.